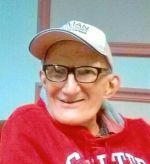 Obituary - Alan D. Roy - Bentz Funeral Service, Inc.
Alan D. Roy, 69, of Utica, passed away Sunday, February 17, 2019 at the Heritage Health Care Center. He was born August 26, 1949, in Utica, the son of the late Cleon and Irma Anita Marlia Roy and was educated in Utica schools. Alan was employed with Human Technologies Corporation in Utica. Alan was a homebody who loved to work, watch TV and listen to music. He is survived by two brothers, Brian Roy and his companion, Peggy McConkey of North Utica and Emil Roy of Utica; his niece, her husband and their two children, Amanda, Jonathan, Zander and Cora Small of Newport; his caregiver, Claudet Samuels; and his close friend, Michael. A Mass of Christian Burial will be celebrated Wednesday, February 27 at 10:30 am at Historic Old St. John's Church, Downtown Utica. Private interment will be in Calvary Cemetery. A calling hour will be Wednesday from 9:30 – 10:30, prior to the Mass. Arrangements are with Bentz Funeral Service, Inc., New Hartford.